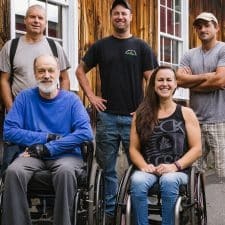 Bill Suhr wasn’t looking for an apple orchard when Champlain Orchards of Shoreham, VT found him. As an environmental consultant, Bill was searching for fulfilling work in nature that could balance the sometimes conflicting ideals of conservation and capitalism. In 1998, he took the plunge and purchased the working apple orchard. As he puts it “I’ve never had an ounce of boredom since. The challenge was just what I needed to vent energy and enthusiasm.” Bill farms with his wife Andrea Scott and their newborn son named Rupert. It turns out, the timing was perfect – as his new farming career took off, demand for local food surged and Bill found his deliveries, which started out as 20 bushels of apples from his station wagon, growing incrementally. 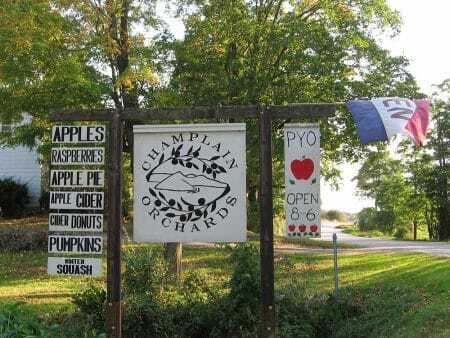 “It was pretty cool to watch the business grow from a station wagon, to a van, to a cargo truck, to our first refrigerated box truck.” Today, Champlain Orchard encompasses four farms (two owned, two leased) for a total of 130 acres of 50 apple varieties, 10 acres of organic vegetables, and just under 10 acres of organic peaches, plums, pears, and cherries. 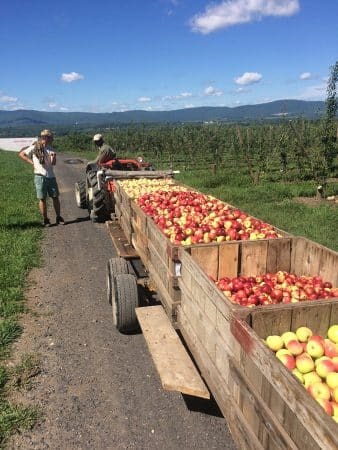 From the wholesale apple business with unusual and hard to find varieties, to an organic CSA, and year-round farm market, innovation is a strong motivator on this farm. 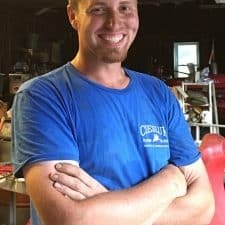 With a background in environmental conservation, it is no surprise that Bill does everything he can to harmonize his operation with the land around it. Bill explains that he feels an ethical commitment to grow Champlain’s fruits and vegetables as ecologically as possible: “We have an opportunity to do things like scout for pests and beneficial insects, reducing our use of sprays, and responding to consumer questions about what is involved in growing their food.” Accordingly, all the vegetables and stone fruit grown on the farm are certified organic. 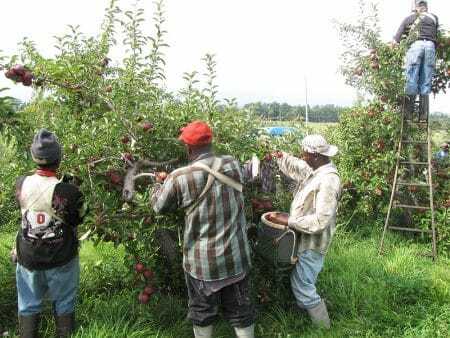 The young entrepreneur is also learning to grow organic apples from disease resistant varieties bred by a few land-grant schools across the country. 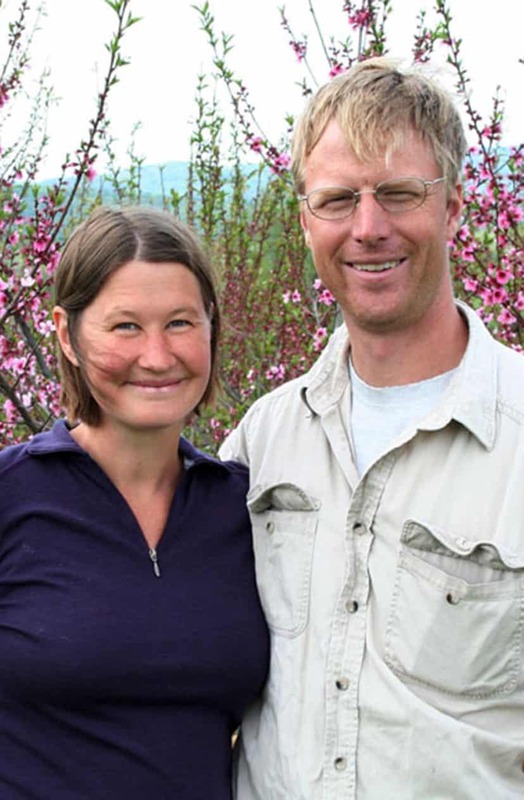 For the most part, however, Bill Suhr has had to become an expert in Integrated Pest Management for apples – pushing the limits every season to grow with as little intervention as possible. Bill and his staff of 25 (up to 70 at peak harvest) are also hoping to convert the farm to use new forms of energy including wind, solar, and biodiesel.